The surf in North Carolina is some of the best and least crowded on the entire East Coast of the United States. If you are looking to paddle out on the barrier islands of the Outer Banks in the fall, spring or winter, its very likely you will score high quality surf with just you and your friends. And with the seasonal weather changes comes larger swells and drastic fluctuations in water temperature. Unfortunately in the Outer Banks, we have some of the largest fluctuations of water temperature of anywhere in the world. It can be 80 degrees in the summer and 36 degrees in the winter. 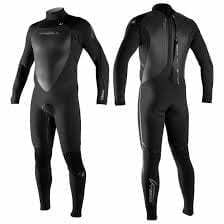 As such, if you are going to score waves year round you have to have the right wetsuits. From board shorts and bikinis to 4/3 wetsuits with hoods, booties and gloves, we have your back! Plus we deliver the equipment to your door from Corolla to Hatteras year round! At Kitty Hawk Kayak & Surf School, we want you to shred when its pumping, and we offer surf lessons and surf equipment rentals year round to help you maximize your surf time while in North Carolina. 6’0 Fiberglass Fish Boards: These surfboards are better for small to medium sized surf typically found in the summer. These boards generate lots of speed, are easy to paddle and allow you to carve throwback 1970s style carves and turns. Check one out if you are ready to get off a beginner board and the waves are smaller. 9’0 Fiberglass Longboards: We have some killer Donald Takiyama nose-rider inspired longboards for rent for 2017. These logs will help you dominate the knee high glassy conditions typical in the summer months of June, July & August. They have a nice, scooped out nose for nose riding and hanging ten. Standard Short Boards: If the surf is pumping and you don’t have your stick, we got you covered. We have helped many a traveling surfer who happened to be on the Outer Banks of North Carolina without a board get out in the surf when its pumping. Swing on by our shop at Kitty Hawk and pick out the perfect shortboard for the conditions whatever time of year it is. Soft Top Beginner Boards: We also have a tremendous variety of beginner soft top boards for all ages from 6 feet to 9 feet. We have been teaching people to surf on the Outer Banks since 2005, and our quiver of boards is DEEP. Let us deliver your shred sleds to your house, or swing by our shop in Kitty Hawk to pick out the best board for your session. We are so fortunate to live and shred on the Outer Banks, but DANG does the water get cold. No worries though, as we have wetsuits, booties and gloves no matter what the season. Spring Suit Wetsuits: Sometimes the water has just enough nip in it to make you want a thin layer of neoprene to shred all day. We have a huge variety of spring suites for kids and adults to maximize water time while surfing in North Carolina. These suites are short sleeves and provide just enough warmth to shred all day or for the dawn patrol sessions. These suits are typically needed in the summer and fall. 3/2 Full Suites: After about October 15th, its time to start wearing a 3/2. 4/3 Full Suits: After about Thanksgiving in North Carolina, its time to hang up the 3/2 and put on the thicker millimeter rubber wetsuits. This is also when the surf really starts to turn on!! 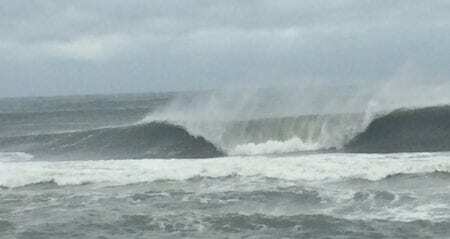 Be ready to score pumping surf on the Outer Banks in the winter by renting a 4/3 wetsuit. Booties: We have plenty of booties to keep your little piggies warm. If its in the winter and you want to shred, we got you covered with a large selection of booties. After mid November, you will need boots and gloves in the Outer Banks until late May. 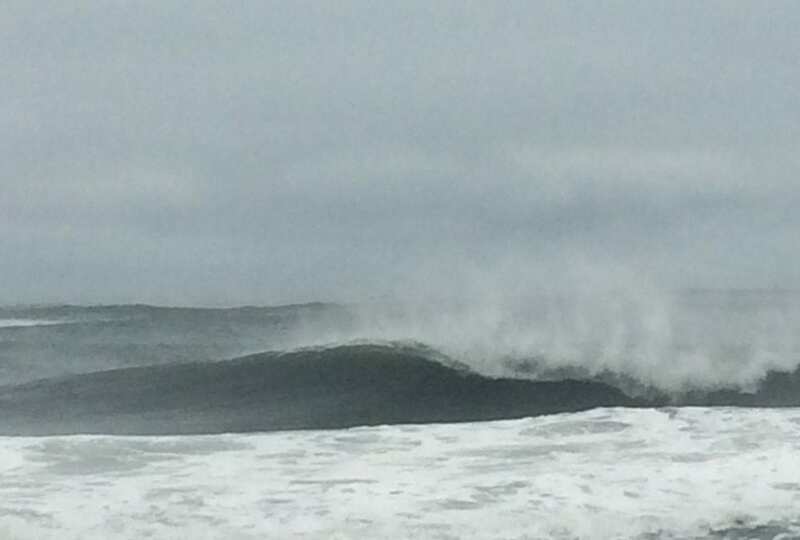 Gloves: In the dead of winter you will need to wear gloves to score surfing the Outer Banks. We also have a large variety of sizes for gloves to keep your hands warm during your session. After mid November, you will need boots and gloves in the Outer Banks until May.